Who doesn't like sitting on a patio, porch or balcony, taking in the sights and smelling the wonderful flowerpots and window boxes you have planted with sweet smelling plants? We do!!! 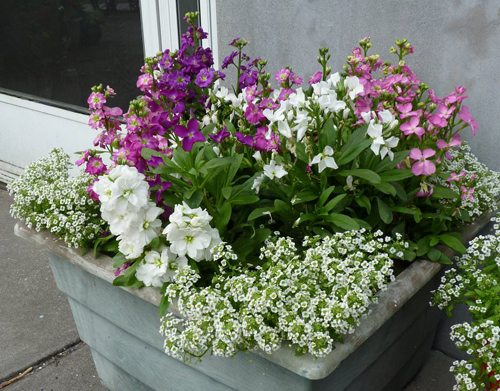 Creating a small fragrant garden in a decorative planter is both easy, and rewarding. First start by selecting the garden planter you are going to use. Make sure you know the size of the root systems that the plants you want to plant are. If they are long, then you will need a deep garden pot so that the roots don't get compacted. If they are shorter you can go with a wide deep wok style garden bowl. Place the container where it will get some sunlight but not full sun. If weight is an issue then go with a light container like Poly Resin or clay. Choose your plants carefully. Try to not to pot too many so the fragrances don't get mixed and are overpowering. Just determine the type of fragrance you want and follow that lead. Favorites are Jasmine, Ylang Ylang, Plumeria, Gardenia, & Oleander. All easy to grow and all smell heavenly. 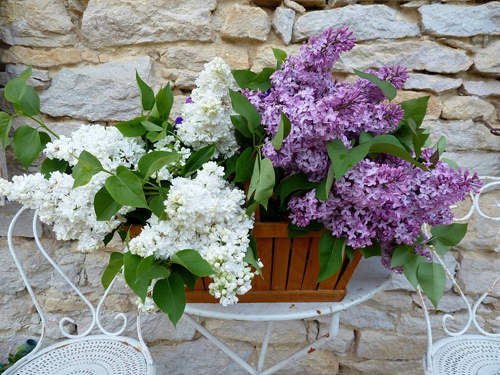 Once planted, grab a cup of tea, sit back and take in these wonderful scents.